The CTICR is now working with the request of the last Convention to prepare a doctrinal statement supporting the ordination of both women and men. They are currently running ‘consultation’s’ around Australia and New Zealand to move beyond their first draft. This last weekend there was a consultation at Blair Athol and Glenelg in South Australia. Many clergy were present, some of whom wanted to argue down women’s ordination or the process, despite facilitation stating that it was not a forum for argument. The statement was limited because of the need for diplomacy within the CTICR and did not clearly reflect the Convention request. Rather, it appeared to provide fodder for further debate, starting from the current theological position. One would have thought that the Convention request required the CTICR to present the clear gospel mandate for equality amongst God’s children. There is rich material that those supporting women’s ordination might have drawn on. If CTICR is compromised because of its membership, then a sub-committee or another body should be given the task to provide the necessary material for the LCA to journey into a rich future. While the rhetoric of having patience is used, that is from the lethargic perspective of the comfortable. It is not the perspective of those who are distressed and/or have left the LCA. St Stephen’s Lutheran Church, 152 Wakefield Street, Adelaide, has a prayer vigil on the day of the debate on women’s ordination (Friday 2nd October, 2015). Sorry for the late notice. It will be held from 9am until 7pm. 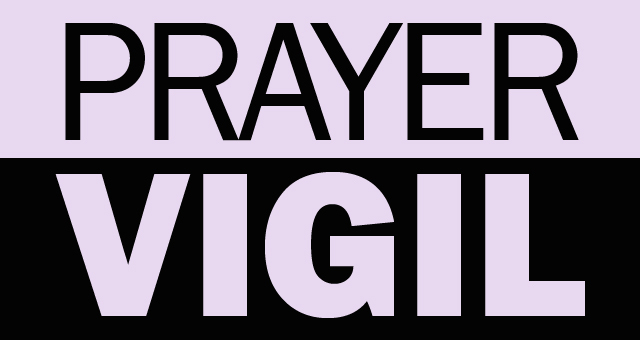 Consider joining the vigil to pray for our Church, for our women, for our leadership and for delegates from around Australia and New Zealand. Thanks to St Stephen’s Working Party on Women’s Ordination for organising the day. Then there’s this official tweet today: “#lcasynod requested that CTICR study the scriptural and theological understanding of subordination and the role of male headship in marriage”. Sigh! Male headship? Are we really that out of touch with our world? What a huge waste of energy! CTICR studies its subject matter in fine detail and there will be months and months of discussion and debate. It would seem more appropriate to be discussing how the LCA might offer leadership against the obscenity of The Coalition and Labor’s common platform of stopping the boats, or on climate change. Synod has agreed to commit more resources to keeping children safe – a good initiative against domestic violence! We understand that some people are maintaining that it’s still okay to hit children. Ah, well! Change comes slowly, but you knew that, especially if you are a woman in the LCA. The following letter is from Bob Unger of Indooroopilly. It reflects the growing frustration that the considered opinion of membership and Synod delegates increasingly seem to be ignored in the LCA. The letter is followed by another letter from a women who left the LCA to minister in another Australian church. It appears on Katie and Martin dated 6th April 2013. I grew up in the Lutheran Church and have been a member for 60 years. I have watched the Church that I love struggle for 20 years with the question of Women’s Ordination. In the first decade, not being a theologian, I trusted the wise men of the CTICR to study the Gospel and to provide advice to the Church. I was pleased with the first CTICR report and was even more delighted when after further examination; the second again found “that there are no theological reasons to prohibit the ordination of women”. For me there was now no longer a conflict; the Church I love and my own personal values were aligned. I was overjoyed! Imagine my despondency when the Toowoomba Synod succeeded in gaining for the second time a simple majority (but not the required two thirds). I have sat patiently, watching the growing numbers of people quietly leaving the Church I love, watching a whole generation of children grow into adults and then leave the Church I love, because they are unable to reconcile the hypocrisy of a church that professes “love and compassion” while discriminating against half its membership. I have watched the humiliation of female Lutheran Pastors, ordained overseas, not being allowed to participate in full Ministry and even being denied the use of the title Pastor. I have watched as qualified women are denied the opportunity to answer their call to serve. I have watched as groups opposed to female ordination have cried “you’ll split the church”. The Church that I love is deeply divided, clergy disillusioned, members quietly leaving to find another spiritual home and many like me staying around in the belief that sanity will prevail. I am unable to understand, although I am of reasonable intelligence, how a minority of both clergy and laity have been able to bring the Church that I love to this current sad state of division, intransigence, intimidation and intolerance. From my view from the pew, a majority of our learned theologians (CTICR) on two occasions have found “that there are no theological reasons to prohibit the ordination of women”. The High Court of Australia decides matters of Constitutional Law by a simple majority and there is no right of appeal. Worldwide, the majority of Lutheran churches and their members ordain women, appoint women as bishops and are ministered to by women clergy. A majority of clergy at two General Pastors Conferences have referred Women’s Ordination to General Synod for decision. At two Synods a majority of delegates have supported the case for the ordination of women. The “Theology” to my mind is settled. I have been on this earth too long to believe human beings will ever reach unanimity on any topic, let alone women’s ordination. From my place in the pew, no one in support of the ordination of women wants to divide the church, we have remained silent for so long on this issue, to avoid such an outcome. No one is suggesting that all congregations have to call female Pastors, our existing call system allows congregations to call pastors of their choice. No one is suggesting that those who are opposed to women’s ordination will be forced to receive the sacraments from a female Pastor. From my place in the pew, the position is clear, we will never achieve unanimity or consensus on this issue, the theology however is settled: “there are no theological reasons to prohibit the ordination of women”. The question is, how do we move forward together in love to find an understanding that is acceptable to both groups? To achieve Union both camps had to give a little, it is time to “give a little” once more. I am attaching a document containing a description of a woman pastor’s experience of a Jewish Bar Mitzvah. She has left the Lutheran Church and has for some years been a pastor in a large Australian city church where God is blessing her work abundantly. God gives her understanding. We must find a way ahead for the Church that we All Love! 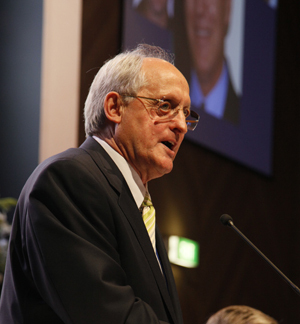 1 The Lutheran Church of Australia’s understanding of what Scripture has to say about the service of women in the church has changed over recent decades. A few years ago we thought that God’s will did not allow women to read lessons in church, to vote at congregational meetings and conventions, or to serve on the committees and councils of the church. Neither did we believe that God had given any women as gifts to serve the church by chairing congregations, being elders or assisting with the distribution of Communion. We did not accept God’s gift of women in these areas because we believed that this was required for us to be faithful to biblical truth. 2 The LCA no longer believes that women are excluded from these roles. Now we thank God for the women who serve in so many different roles in our congregations and church. After reexamining the scriptures we found that they did not support the positions we previously held. We submitted to the authority of Scripture and welcomed the service of women in new areas. Faithfulness to God and his word demanded it. 3 If the LCA is going to remain faithful to God and his word in our time, we now need to take another step in this journey and recognise that, in spite of our previously held convictions, Scripture does allow the ordination of women. Those that support the ordination of women recognise that there is no biblical command to ordain women. In some eras and cultures the ordination of women would have been detrimental to the work of the gospel. But in our time and culture, faithfulness to Scripture leads us to support the ordination of women. 4 We begin with the current position of the church and say that the texts that have traditionally been used to exclude women from ever being pastors do not, on closer examination, say that. Secondly we need to recognise that Scripture as a whole allows women to be ordained. In this brief paper we can only summarise the arguments without developing them in any detail. This has been done elsewhere. 5 The foundational texts (1 Cor 14:33b-38 and 1 Tim 2:11-14), on which the church has previously based its position, do not warrant the conclusions drawn from them. The point of these texts is as binding now as it was then, that is, that worship must be orderly. There is no clear indication that the ways in which order is to be maintained are binding on the church beyond the congregations of that time. We no longer require that women wear head coverings or that men have short hair. In the same way Paul’s statements in these texts are his pastoral response to the cultural situation in the 1st century and do not become laws for all times and places. In those days the behaviour of some women in worship caused offence and was a barrier to the proclamation of the gospel. Today our refusal to ordain women gives offence and is a barrier to that proclamation. 6 These two texts do not deal with the office of the ministry as it is understood today. They deal with the ordering of worship in the early church, which involved leadership by various people, including those directly inspired by the Holy Spirit, amongst whom were women. Thus women participated in leading worship. It was only later that essential functions of leading worship were confined to one office, an office that came to exclude women. the basis of the church’s practice. 8 For the church to maintain its ban on the ordination of women in our day, it would need to clearly demonstrate that Scripture as a whole forbids women to be pastors. Anything less would not provide a sufficient basis for the church to refuse to receive suitably qualified women as gifts from God to serve as pastors of his church. 9 Christ chose twelve men to be apostles to testify to the resurrection and so represent the twelve tribes in the formation of the new Israel. But a precedent is not the same as a command. The rest of Scripture shows women functioning in many roles in the church. 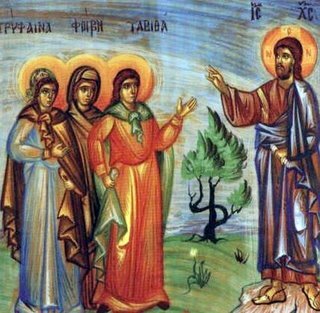 For example Deborah judged Israel, Junia is an apostle (but not one of the twelve), Priscilla took the lead in teaching Apollos, and the daughters of Philip (the evangelist) were prophets. Women pray and prophesy in the worship services of the New Testament church. 10 Both men and women are created in the image of God. It is no more logical to suggest that only the male gender can represent God the Father and Christ as pastors in the church, than it would be to say that only Jews can be pastors because Jesus and the twelve were all Jews. 11 The Church is a model of the new creation for the world, demonstrating to the world what God intends for his creation and what will finally be revealed when God unveils the new heavens and the new earth. The old order of creation is transformed ‘in the Lord’ (1 Cor 11:11). The church gradually abolished from its community the discrimination based on these distinctions. In New Testament times it resolved the Jew/Greek divide. Then Christians worked for the abolition of slavery. Finally, the church is tackling the exclusion of women from various roles in the church, including the office of pastor. 12 The Lutheran Confessions are clear that the validity and efficacy of the office of the ministry is dependent on the word of God alone; not, we conclude, on the qualities or gender of the pastor. Those who have been baptised by a woman are not re-baptised, nor do those, who in good conscience commune at an altar presided over by a woman pastor, eat and drink to their judgment. 13 The central concern, of both the Bible and the Lutheran Confessions, is that the good news of salvation be brought to all people in the most effective way possible. The church lives under the gospel in Christian freedom and is ‘gospel-centred’ not ‘law oriented’. That does not mean Christians are ‘free’ to disobey the law of God but that we are free to let our lives be shaped by the gospel and the missionary imperative so that all people may hear the good news. Today the effectiveness of the church’s mission would be enhanced by having women serve as pastors. The LCA is therefore being urged to receive with thankfulness the gifted women that God is giving us to serve as pastors in our church. 15 The church is called to follow this example of Paul and be flexible in non-essentials for the sake of the gospel. The gender of the pastor is not essential to the message proclaimed, nor the validity and effectiveness of the ministry, and Scripture does not prohibit women from serving as pastors today. Our culture has moved on from the patriarchal societies of previous centuries to the extent that not having women pastors is now a barrier to mission. 16 In our time and in our society, faithfulness to Scripture requires the ordination of both women and men. Senior Lutheran pastors and theologians affirm the ordination of women in a brochure shared with congregations in the LCA around Australia. It’s a key moment in the women’s ordination debate that Pr Semmler doesn’t want us to have. The full brochure can be found here. A VISION-Women’s ordination in the LCA which details the vision for women’s ordination coming from conferences in Adelaide and Brisbane in 2012. This brochure is published by the All Saints group on behalf of the LCA clergy and laity who support the ordination of women in the LCA. arguments for women’s ordination and motions submitted by St Peters and St Andrew’s for the 2013 LCA General synod please go to Women’s Ministry Network – www.wmn.org.au. Pr Mike Semmler has just announced that he will not stand again for the position of President of the LCA. It is difficult to believe that this era of staunch resistance to women’s ordination may be over (2000-2013). While there may always be people who are distressed by the idea of women’s ordination (though other churches’ experience is that concerns fade once people experience the pastoral care of women), there was no more an important position than that of President of the LCA in opposing women’s ordination. The position was used to delay, stifle and ignore discussion in the CTICR and in the national journal, as well as cling to the Church’s ‘current position’, repressing further debate, thereby clinging to the current position. How was change ever going to come unless there was open debate? Of course, it remains to be seen who will stand for the position, but Synod delegates would presumably be twice shy about who it elects to this position, which, we have learnt, is an incredibly powerful one in guiding or sidelining issues within the Church. Please include the election of our national president in your prayers.